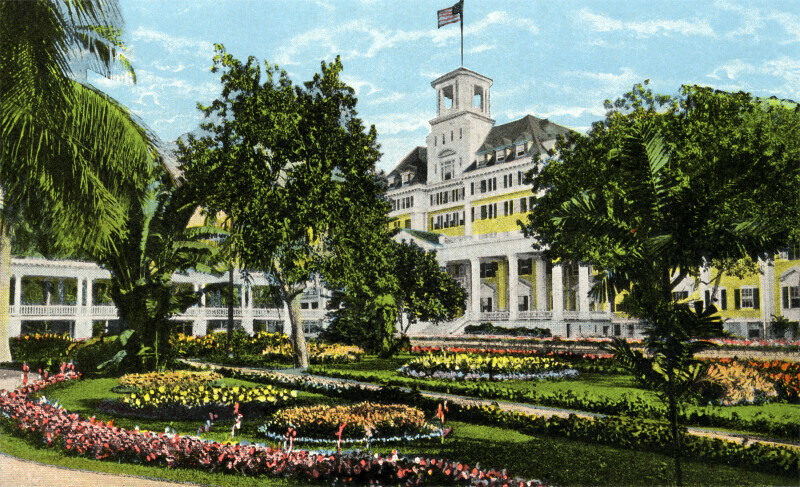 This image shows the front entrance of the Royal Poinciana Hotel, along with the colonnades and part of the garden. There are many palm and deciduous trees growing on the grounds of the hotel. The flowering plants are grouped into ornamental beds, and other decorative arrangements. WARNING: You are about to download a 12.7 MB TIFF!